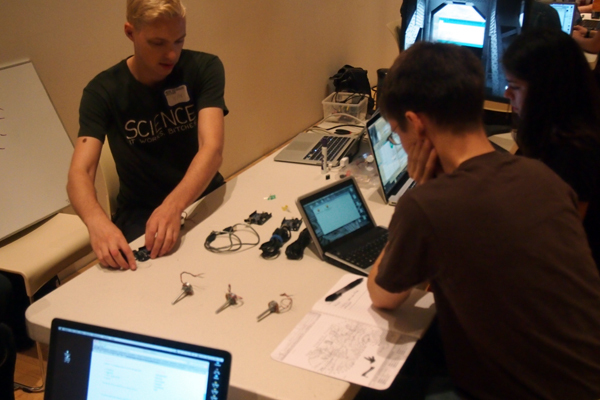 Rhizome | Blog Posts tagged "Kitchen Table Coders"
Zoë Salditch | Thu Aug 23rd, 2012 5:10 p.m. Kitchen Table Coders Panel Discussion from Rhizome on Vimeo. Last Friday, Rhizome hosted a panel discussion on code literacy in the arts including Amit Pitaru of Kitchen Table Coders; Vanessa Hurst of Girl Develop It and Developers for Good; Jer Thorpe, artist and educator; Sonali Sridhar of Hacker School; and moderated by Douglas Rushkoff, educator and author of Program or Be Programmed: Ten Commands for a Digital Age. 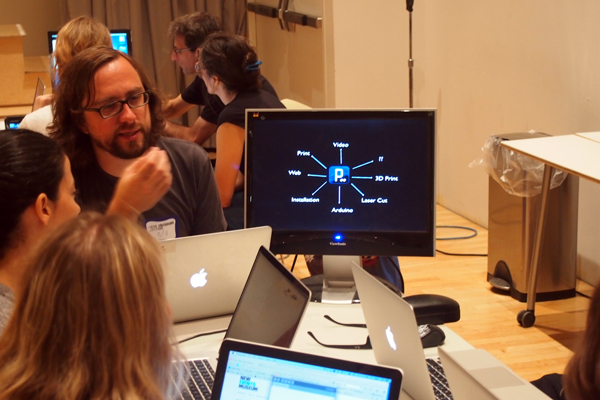 Following the panel, Rhizome hosted five Kitchen Table Coders-style workshops Saturday afternoon in the New Museum Theater. Twenty-five eager coding novices came to get a crash course in Processing with some of New York City's most talented programmers; Amit Pitaru, t3db0t, David Nolen, Jer Thorp and Rob Seward. 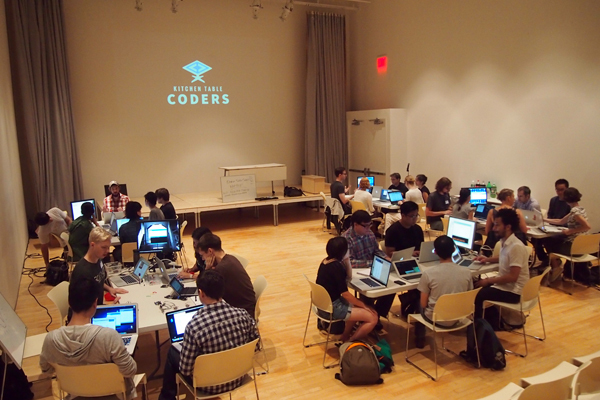 The Kitchen Table Coders host intimate workshops around a kitchen table in their Brooklyn studio on any topic the attendees choose. Participants learned the basics in Processing, an open source programming language for visual art. More advanced students had the opportunity to sit down with t3db0t to take their Processing skills to the next level with Arduino to create interactive electronic objects. Thanks again to all the panelists, Vanessa Hurst (Developers for Good), Sonali Sridhar (HackerSchool), Amit Pitaru (Kitchen Table Coders) and Jer Throp (NYTimes and ITP), and our moderator codevangelist Douglas Rushkoff for a stimulating conversation about code literacy. And big thanks to Nick Hasty, Director of Technology for Rhizome, who was instrumental in making this event happen. I look forward to organizing more code and hacker workshops in the future!